As the cloud transitions from an experimental proving ground into a mature component of the IT toolkit, we’re beginning to see diverse areas of specialization. It may no longer be enough for an IT pro to demonstrate general cloud expertise. Today, IT departments are focusing their efforts on finding talent that is uniquely qualified to their individual needs. As the breadth of cloud computing scenarios increase, training and certification paths have followed suit, providing new opportunities to specialize. If you think of cloud computing as it stands in the world as an evolving toolkit, rather than an end result, it makes sense that we would want to pursue a path of continuing education. As with any training path, it’s likely that your first foray into cloud computing will be determined by the needs of your organization. From there, you can follow your own interests and curiosities. Recently, specific certification paths have emerged in response to demand from IT pros and employers, alike. The AWS Certified Solutions Architect certification demonstrates the current industry demand for hybrid network specialists, as well as admins who can deploy scalable systems. Newer sysadmins will likely pursue a track that focuses on virtual computing, hybrid administration tools such as Satellite and Ansible, and IaaS solutions such as OpenStack. For seasoned network and systems admins, training for cloud administration augments the toolkit with new methods to deliver cost-effective and scalable results. Likewise, for programmers and software engineers, a Certified Developer track is used to expand development expertise into cloud or hybrid environments. At first, it may seem that developing for the cloud is not particularly unique, but there are new concerns for security and stability that arise when developing remote solutions. Preparing for these challenges can allow developers to avoid the growing pains that strike new cloud ventures. Is Big Data your thing? We are also beginning to see demand for more individualized paths with a greater focus on specific applications, which isn’t surprising. Technological trends are often introduced and galvanized into industry standard status on the backs of vendors. (Think Cisco and networking.) For Big Data, there’s still a battle for that moniker, but some there are standouts. The AWS Certified Big Data specialty is in high demand among firms that rely on data analytics. Anyone venturing into data science will want to bulk up on cloud-based data solutions, as they tend to be the most cost-effective method of storing and processing huge datasets. The massive scalability and computing power of Amazon Athena, Apache Hadoop, and DynamoDB are getting more attention from management and execs, ensuring a rewarding career for those who pursue big data in the cloud. These are just a few of the vendors providing specialized cloud certifications in this rapidly evolving arena. Many InfoSec pros have a love/hate relationship with the cloud, as it’s their greatest source of job security while simultaneously being the cause of so many of their headaches. Cloud security training no longer needs to be lumped in with general administration, as several paths have broken out to focus strictly on InfoSec in the cloud. (ISC)2 has taken an early lead in cloud security training with their CCSP and CISSP certifications, allowing InfoSec pros to concentrate on the skills that are critical in their field without getting bogged down in learning other areas of administration. It’s important to note that the importance of security has promulgated within the entire IT certification ecosystem. For instance, CompTIA chose to update their new Network+ exam with cloud basics, and Security+ exam with cloud security basics. That’s saying something. 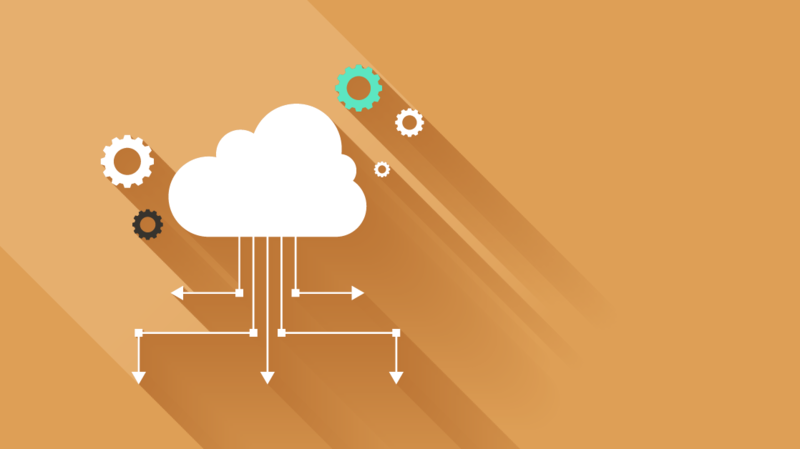 Cloud storage administration is also a growing field, as the number of potential storage scenarios necessitates an IT pro with specialized skills. For instance, in addition to AWS’s native cloud storage services, there are a variety of add-on configurations such as Red Hat Gluster and Ceph. Sorting through this quagmire is emerging as a specialty in itself. The Cisco CCNP Data Center and CCNA Cloud certs require a deep knowledge of cloud storage environments, while Red Hat also offers several certification tracks focused on cloud storage. And of course data, data, and data. Database admins will undoubtedly seek a track that focuses on their organization’s specific data needs. The Oracle Database Cloud Administrator is a great example of a vendor-specific approach to augment an existing career path with new cloud developments. And if Oracle isn’t your organization’s flavor, Google and Microsoft both offer cloud SQL certifications as well. We can see that the cloud is really just a new approach to IT. This means that as you update your resume with new training and skills, you shouldn’t be afraid to list the specialized talents that you have developed in cloud computing — these specialties can really set you apart.